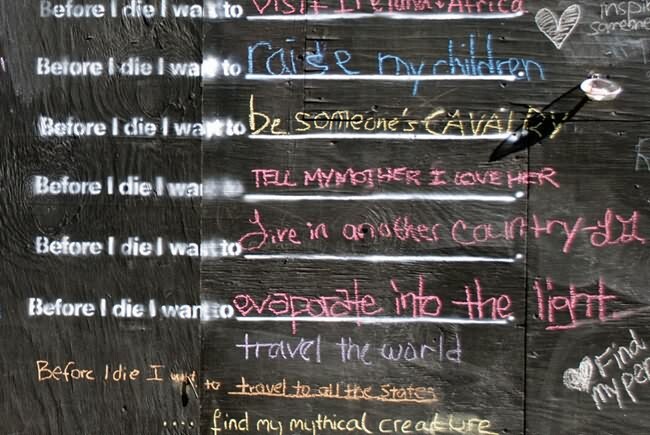 Before I Die transforms neglected spaces into constructive ones where we can learn the hopes and aspirations of the people around us. 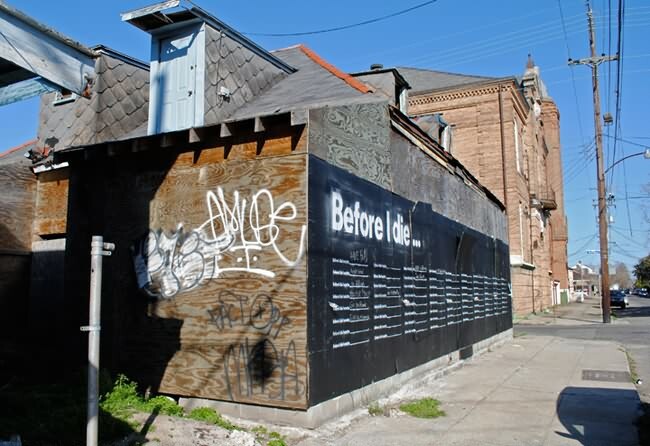 This amazing project is started by Candy Chang a public installation artist, designer, urban planner, and co-founder of Civic Center who likes to make cities more comfortable for people. 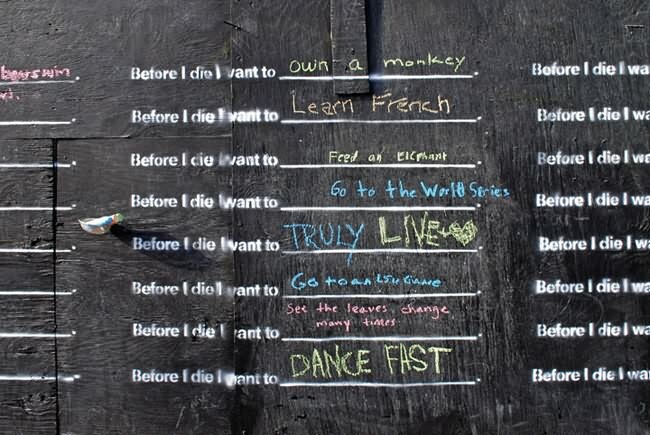 Chang says: "It's easy to get caught up in the day-to-day and forget what really matters to you. 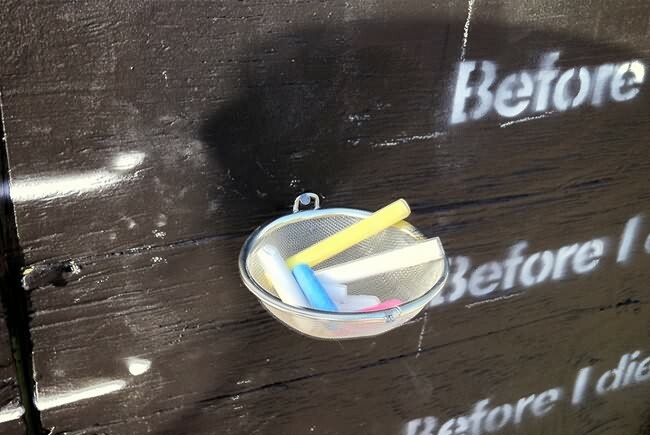 With help from friends and neighbors, I turned the side of an abandoned house in my neighborhood into a giant chalkboard to invite people to share what is important to them. 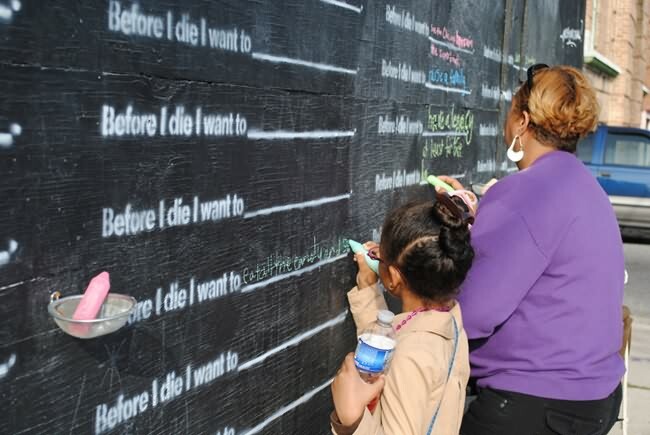 Before I Die transforms a neglected space into a constructive one where we can learn the hopes and aspirations of the people around us. 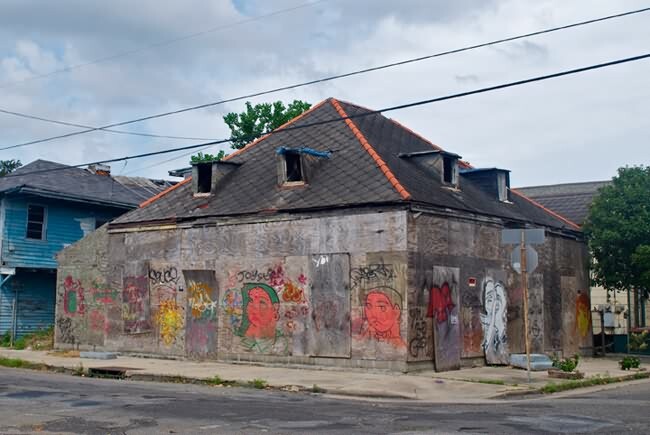 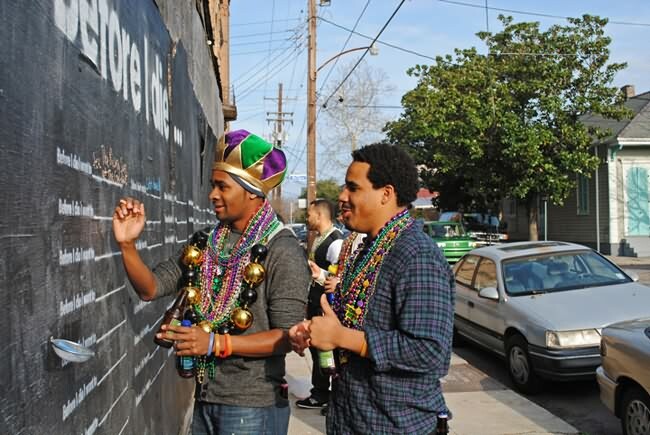 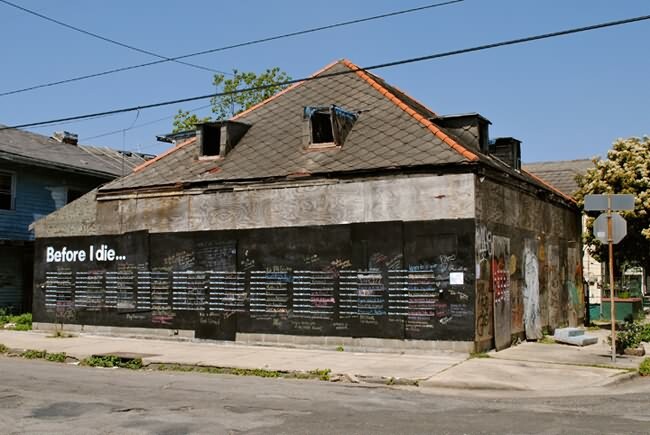 If you're in New Orleans, stop by the corner of Marigny and Burgundy (900 Marigny Street) to add your thoughts to the wall and discover what matters most to your neighbors. 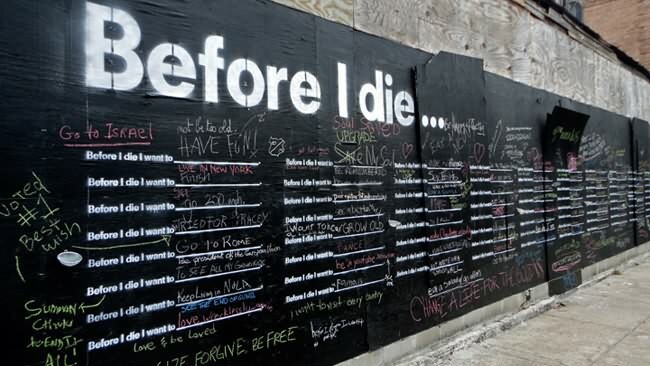 It's a question that changed me over the last year after I lost someone I loved very much. 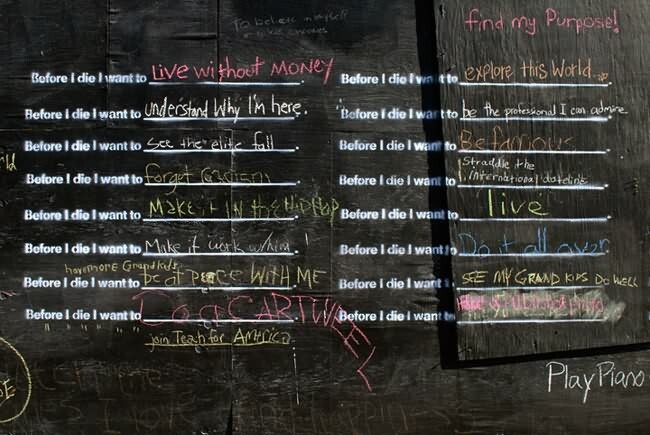 And I believe the design of our public spaces can better reflect what's important to us as residents and as human beings. 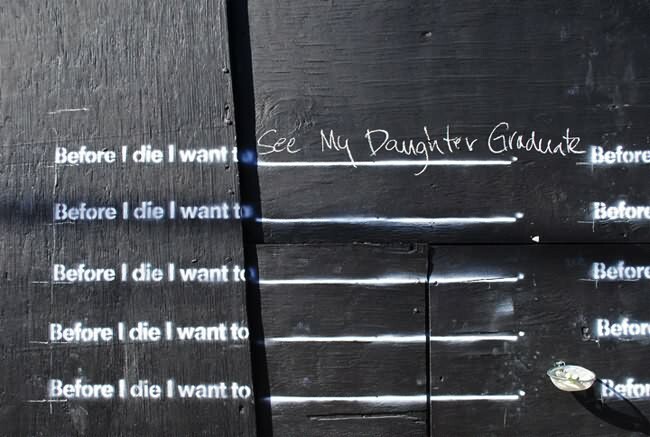 The responses and stories from passersby while we were installing it have already hit me hard in the heart. 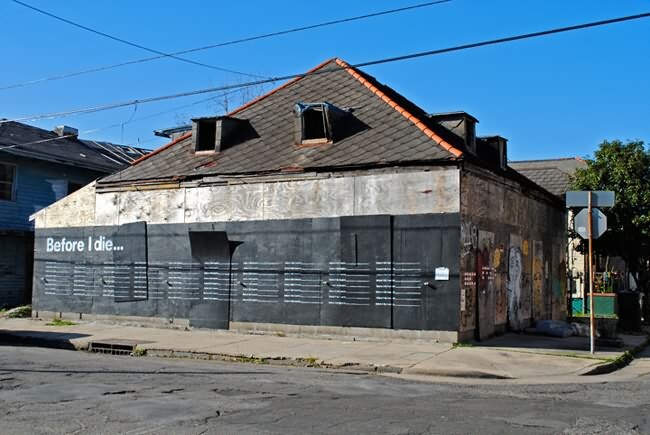 Concurrently installed in East/West Galleries. 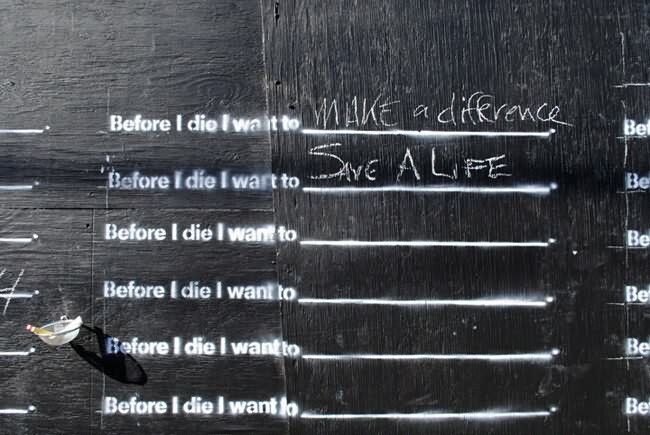 I've received an incredible response to this project and many things are in development including a project website, more installations, a kit with a how-to guide and stencil, and more!" 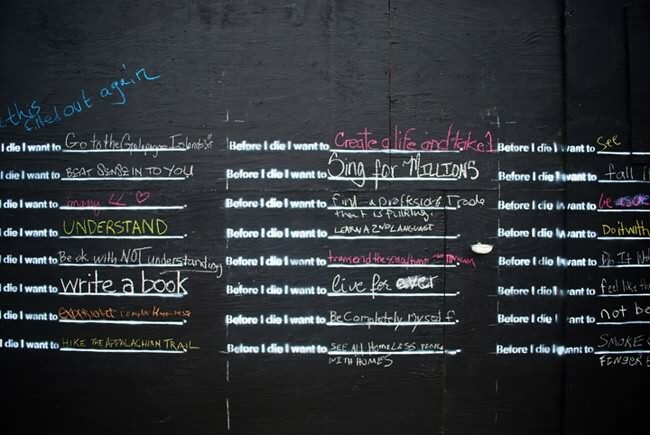 The wall is still alive and kicking! 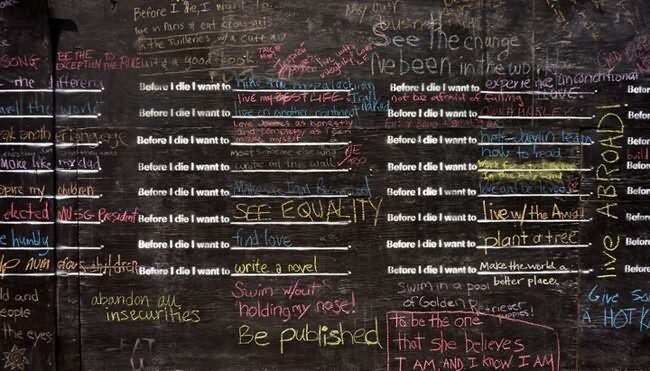 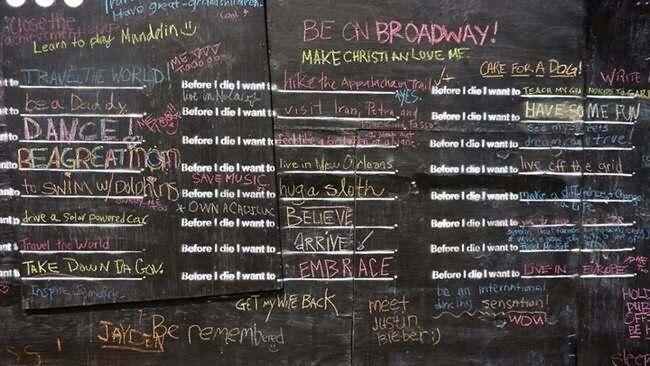 Check out the completely-filled wall of responses after one day on Before I Die website.